Caring for the environment as they care for their estates. Family farms take better care of the land. 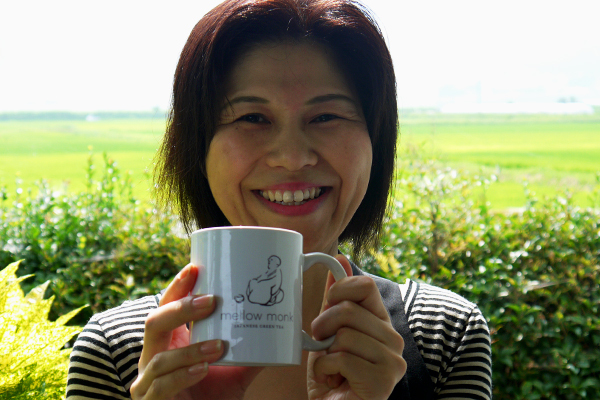 All Mellow Monk® grower–artisans in Japan are family owned and operated. They are also certified under Japan's Eco Farmer Program, a voluntary local government program that's monitored by Japan's Ministry of Agriculture, Forestry and Fisheries to promote environmentally responsible farming practices. Our growers take pride in being full-fledged members of the program, because their attitude toward the land is different: Each generation sees itself as just one stop in a long, unbroken line of stewards who take over the land from the previous generation, use it to earn their livelihood, and then pass it down to the next generation. Taking care of the land is a given for them: It's where they live, and where their children will grow up and some day raise their own families. 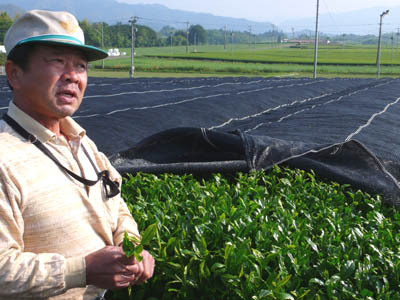 Mellow Monk Green Tea is also the product of environments that are ideally suited to tea cultivation — in the Aso and Kuma areas. Both are part of Kumamoto Prefecture, on the island of Kyushu, the southernmost of Japan's four main islands. Aso, located in the center of Kyushu, is a rural region long known all over Japan for its natural bounty and for artisans who stubbornly stick to the traditional way of doing things. There, the Nagata estate is situated in the foothills of Mount Aso, an active volcano that gives the area its name and provides rich volcanic in which tea plants thrive. 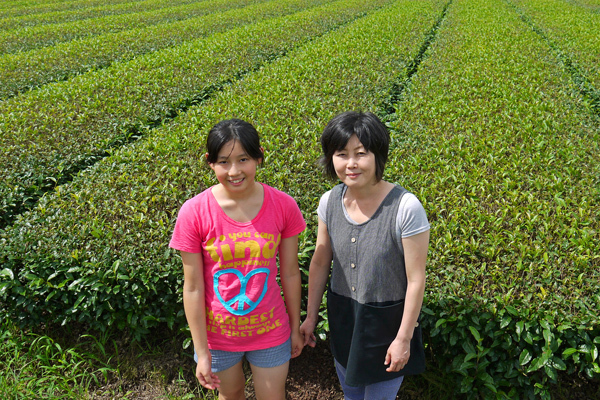 Kuma, where the Watanabe estate is located, is famous as a tea-producing region. The plants enjoy the plentifuly sun and rainfall, while the rolling hills keep the soil drained. Flowing through the area is the untamed Kuma River, considered one of the "big three" rapids in Japan. The district's largest city is Hitoyoshi, known as Kyushu's "little Kyoto" and containing many tea wholesalers, shops, and even green tea confectionaries. In both areas, frequent fog and clouds shade the tea plants from too much direct sunlight and allow them to grow slowly. The long, cold winters allow the plants to stay dormant longer and retain plenty of nutrients in their roots, trunks, and branches. When the warmth of spring arrives, the new buds have plenty of nutrients on which to draw and grow into vibrant, healthy leaves. These perfect conditions for tea are also similar to those in the Himalayan foothills where the tea plant, Camellia sinensis, is believed to have first evolved. The result is richly flavorful tea with a bright, flowery aroma. Mellow Monk® Green Teas is dedicated to dealing fairly and directly with family-owned and -operated tea artisans and our dedication to environmental responsibility — theirs and ours.